Department of Justice antitrust regulators granted agribusiness behemoths Bayer and Monsanto the right to merge after both companies agreed to a spinoff of $9 billion in assets, which is the largest such liquidation of corporate assets that has ever been required by the DOJ. Under this proposed settlement that was filed on Tuesday, Bayer is to sell its herbicide and seed businesses to BASF the Germany chemical company. It will also sell its digital farming unit and several R&D projects and intellectual property. The targeted assets are to prevent Bayer and Monsanto from using the combined control of the two over seed and treatments for seeds to increase prices for agricultural products to the farmer and the consumer, said officials from the Justice Department. Only six companies, and that includes both Bayer as well as Monsanto, have dominated the worldwide trade in agrochemicals and seeds. The deal, which is worth $66 billion, already received the approval of regulators in Brazil, Russia and the European Union, making the approval by the U.S. the big hurdle. Bayer said the merger should be completed in full by the middle of this summer. CEO of Bayer Werner Baumann said through a prepared statement that the receipt of approval from the DOJ brings the company close to its goal of creating a leading agricultural company. Antitrust officials in the U.S. investigated the deal between Bayer and Monsanto for over a year, and ultimately came to the conclusion that it could end up creating higher costs for the agricultural sector of the country. Both companies are producers of genetically modified canola, soybean and cotton seeds, as along with pesticides that pair with each. 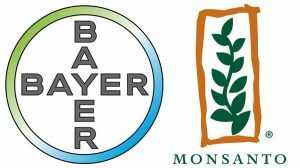 Under the deal the two originally made, Bayer would have had a monopoly over herbicide resistant canola and cotton in the U.S. and close to another monopoly in other crops, including carrots and cucumbers said the DOJ. As well as eliminating direct competitors in certain lines of business, this deal as it was proposed would have led to an increase in anticompetitive leverage for Bayer in other markets, said regulators. Through its merger with Monsanto, regulators said that Bayer would become the major supplier for corn seed. Following the merger, Bayer, which sells an important treatment for corn seed to farmers, would hold an incentive to increase prices for that treatment knowing framers would have fewer choices of suppliers of seed, alleged regulators.